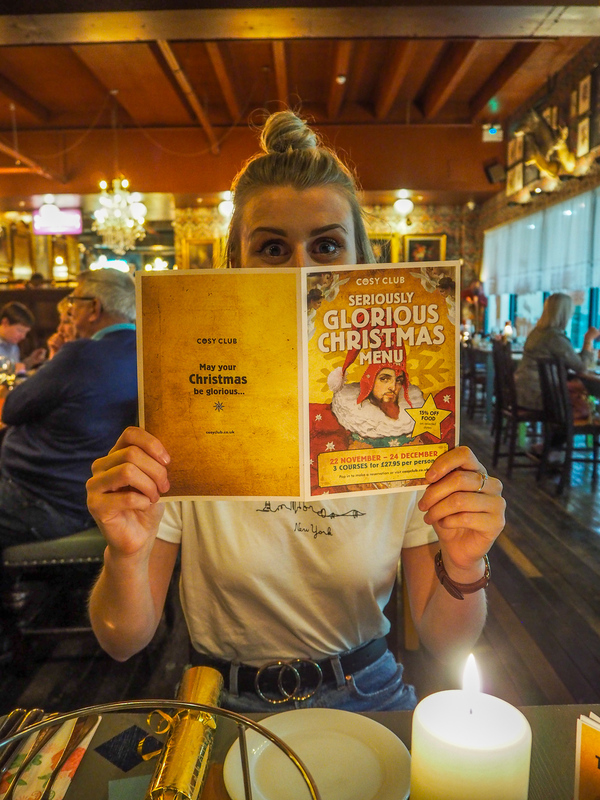 A couple of weeks ago I was kindly invited along to Cosy Club Ipswich to give their new Christmas menu a try. Cosy Club is one of my favourite restaurants in Ipswich. In the summer I was invited to try their new menu, it didn’t disappoint then and it certainly hasn’t disappointed now either! 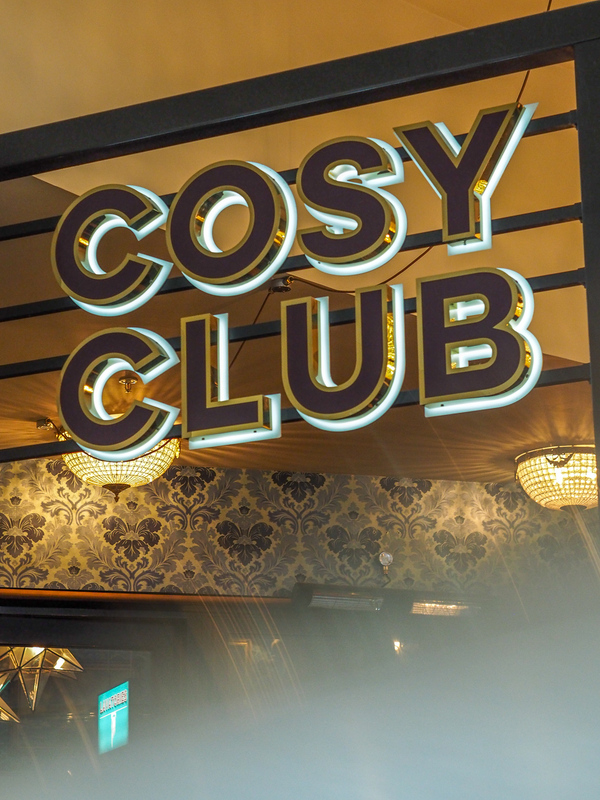 The beauty about Cosy Club is that it’s different to most chain restaurants. They sell a real mix of food, not the usual chips and a burger. As well as unique and delicious dishes, they also sell the best cocktails. For my friends and family and I, it’s the go-to place for some drinks in the town centre. It has it all – gorgeous food, drinks and a fantastic vibe every time. Now, onto the review. I was so excited to get into a Christmassy mood, even if it was the middle of October. I’d have pigs in blankets all year round if I could! For drinks on arrival, I opted for a Prosecco (Cosy Club are known in my family for doing a delicious prosecco), and Jamie opted for a white wine. The table was set up beautifully with a candle and some crackers to get into the Christmas spirit. 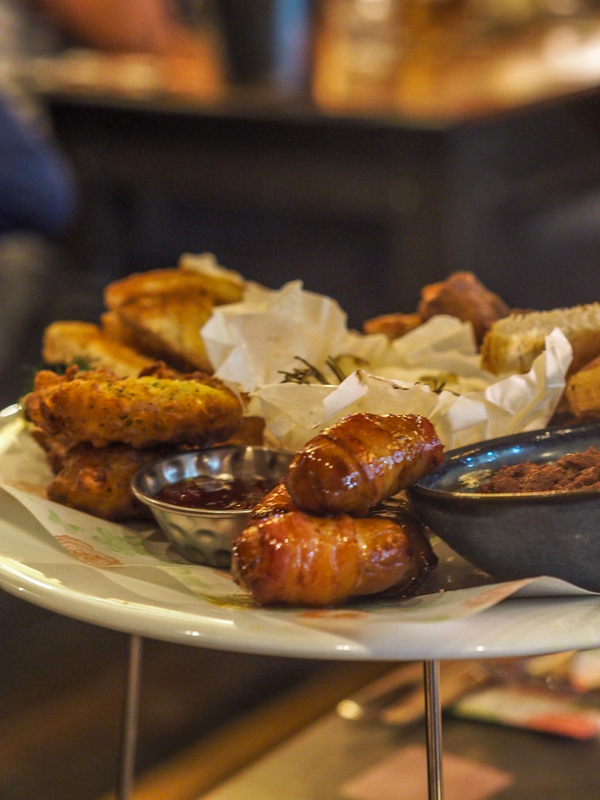 There’s only one starter for the Christmas menu this year, and that’s a platter full of goodies including Smoked Salmon Blinis, Cumberland Pigs in Blankets, Halloumi & Sweetcorn Bites, Slow-cooked Pork Belly Bites, Baked Camembert and Tarragon & Chestnut Pâté. 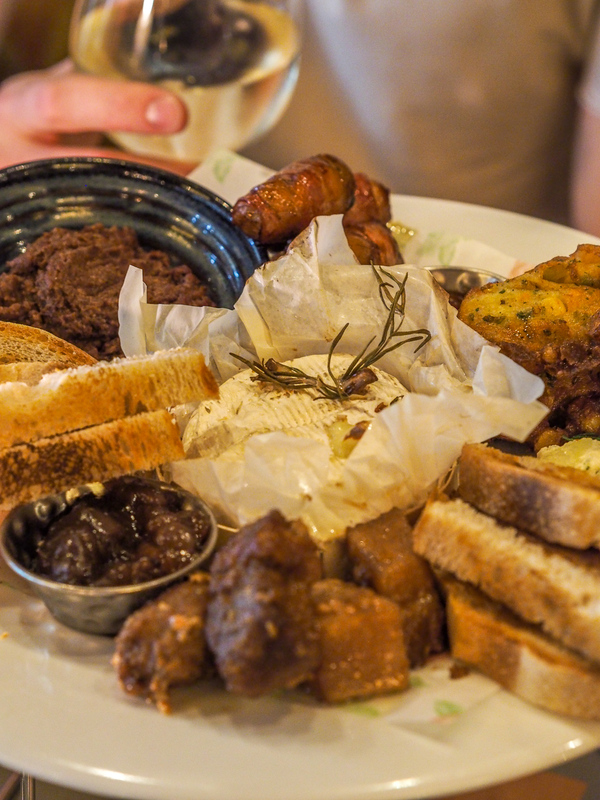 Jamie and I LOVED this platter – for me, I loved the baked camembert in the middle the most. The halloumi and sweetcorn bites were different but really surprised me with how yummy they were. The platter had something for everyone and it was fantastic to be spoilt with so many dishes in one. I like the sharing factor too. Christmas is a time of togetherness so this was a lovely touch. On to mains. What surprised me about these were that there were no obvious Christmas dinners – no classic turkey with veg and all the trimmings. 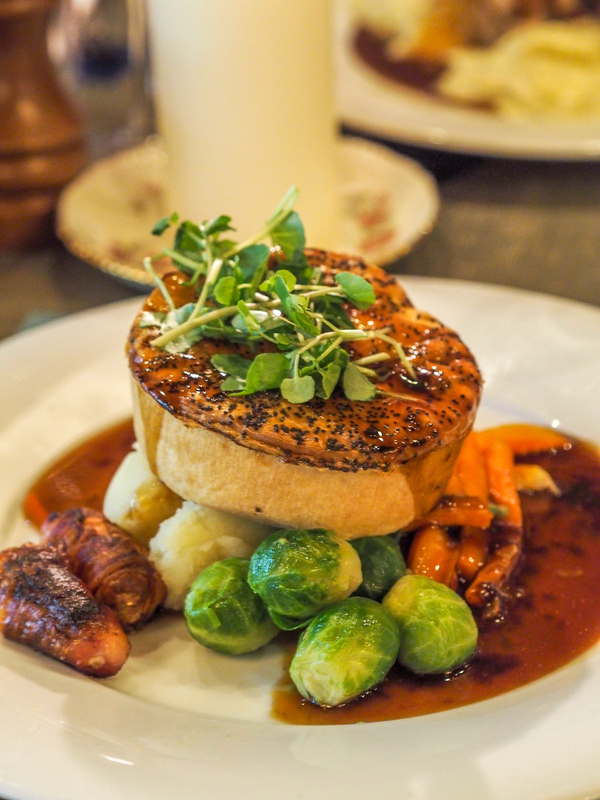 Instead, there were pies, pork belly and sea bass. I opted for the Norfolk Turkey and Smoked Bacon Pie. This came with pigs in blankets, mash and an assortment of veg. The presentation of this meal was brilliant, and it tasted just as good as well. The pastry was cooked perfectly and the mash smooth. Jamie went for the Slow-Roasted Outdoor Bred Pork Belly, which was served with chestnut & herb sausage stuffing, dauphinoise potatoes and some veg. 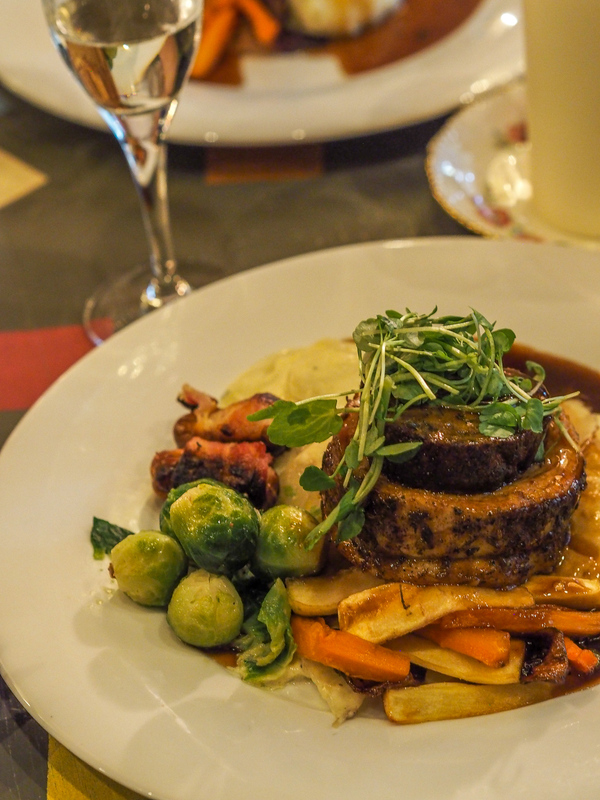 The pork belly was cooked to perfection – so soft that it crumbled in your mouth. The only thing both Jamie and I wished for with our mains was a little bit more gravy. We both love to drown our dinners in gravy so a small dish of some extra on the table would have been perfect. Full to our stomachs, we both tried a dessert but didn’t quite find enough room to finish them! 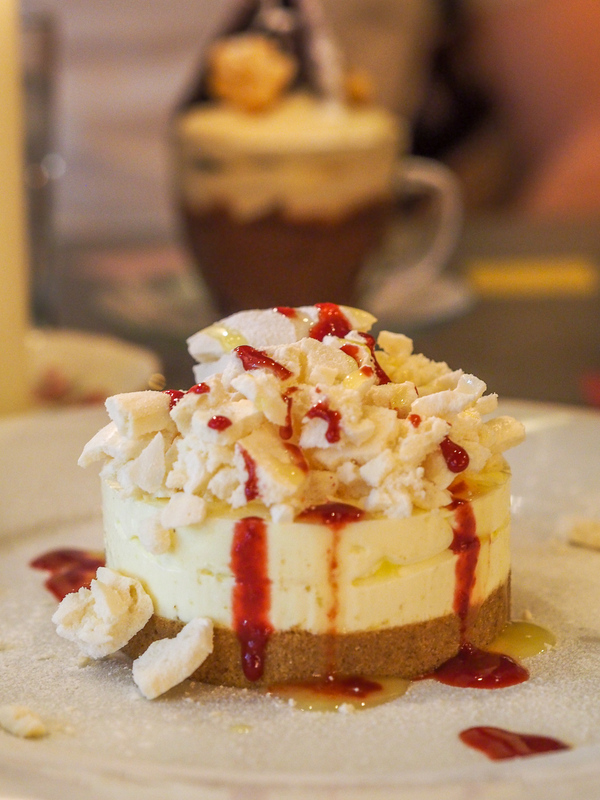 I went for the Limoncello Cheesecake with raspberry coulis and crushed meringue, while Jamie went for the richer option of Chocolate Brownie & Cinder Toffee Trifle with chocolate fudge sauce & salted caramel cream. The dessert selection was brilliant – they had the Christmas pudding, the cheese board, and some more classic options too. My cheesecake was the perfect light sweet treat after a heavy meal. The lemon was refreshing and the crushed meringue a nice little addition to a normal cheesecake. 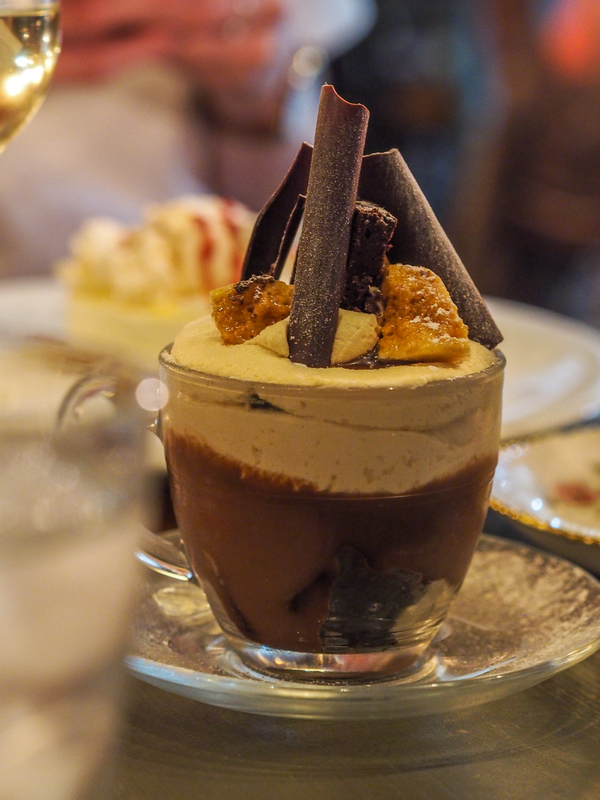 Jamie’s brownie trifle was extremely rich, possibly too rich after such a filling meal but was as equally delicious. Our meal at Cosy Club really was delicious. We were looked after all night, and our food ticked all the boxes. We left well in the Christmas spirit with full stomachs to match. 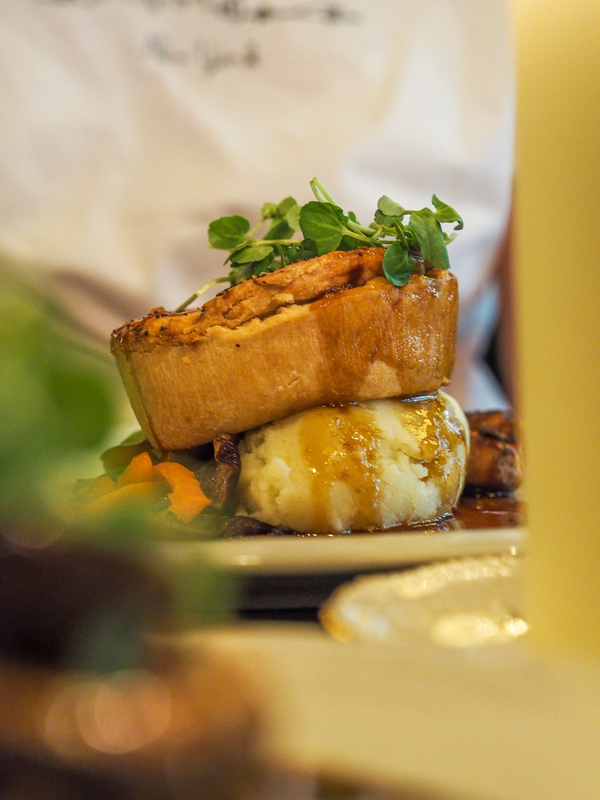 If the Christmas menu takes your fancy, they’ll be serving it between 22nd November up until Christmas for £27.95 per person. *Our meals at Cosy Club were complimentary but all opinions remain honest. Cosy Club really is one of my favourite restaurants’s to eat and drink at! "The importance of celebrating the little victories"
"7 Kitchen Layout Mistakes To Avoid"